Received an impromptu dinner date with my brother at Upper Bukit Timah and I thought that we would be going to the Bukit Timah Food Centre (Mien!) 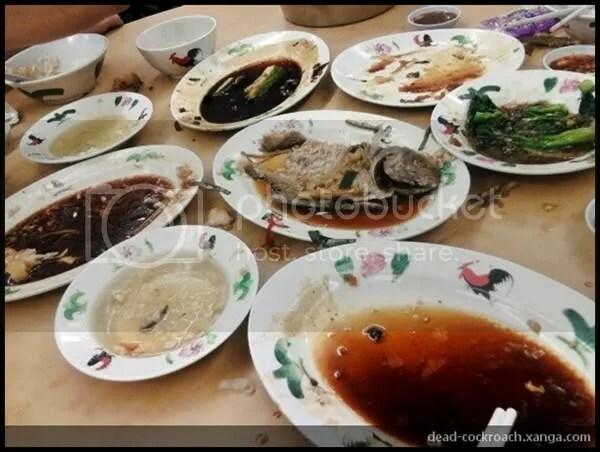 but unknowingly, he has already ‘choped’ a table at Joo Seng Teochew Porridge located at Cheong Chin Nam Road (where Al Ameem is). 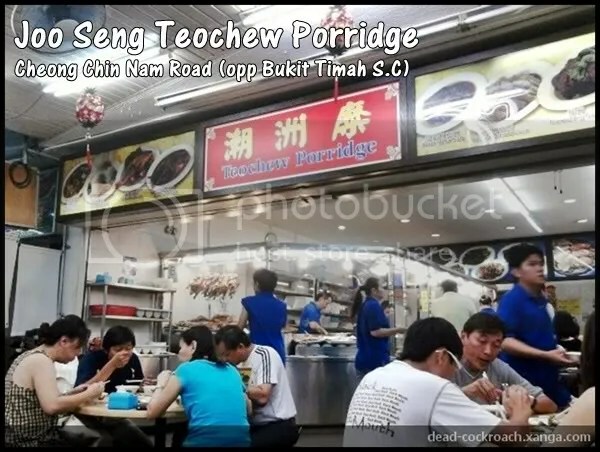 As soon as the rice is cooked, the porridge was scooped and served thus, the physical shape of the grains is still there (as shown above) which is a typical characteristic of Teochew Porridge. If you have been following my blog, you would have known that I don’t like my porridge this way. 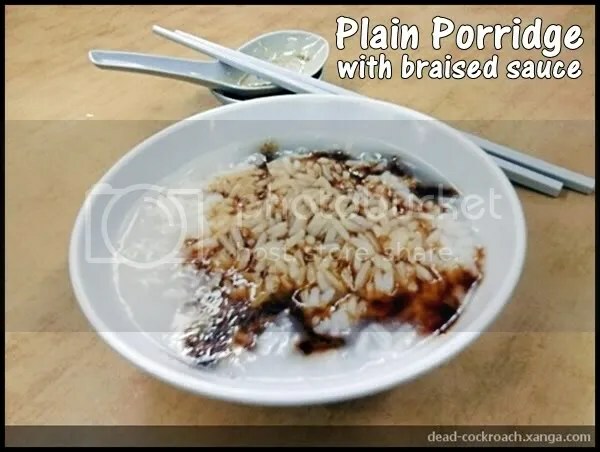 I preferred my porridge smooth and flavorful, with the grains ‘flowered’ like those Cantonese Porridge. 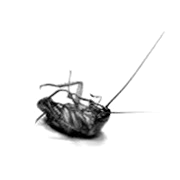 Here’s a list of the dishes we ordered. As these dishes were prepared as accompaniment to plain porridge, they were a little on the salty side so go easy on the sauces. My brother and sis-in-law has been here a couple of times but it was the first for my parents and I. My favorite are the Braised Duck, Cod Fish, Braised Innards and the ‘Hairy’ Gourd. We were half expecting the bill to be around S$50 but it turns out to be S$70 exactly. A little pricey for Teochew Porridge but it’s expected since we ordered fish (Fried Pomfret and Cod Fish) and meat (Braised Duck) which were the more expensive items. 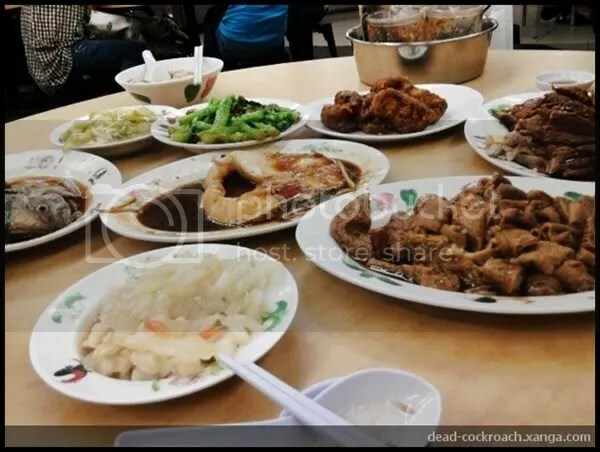 This entry was posted in Uncategorized and tagged baised innards, bitter gourd, braised duck, bukit timah food centre, bukit timah shopping cent, cheong chin nam road, cod fish, egg tofu, fried pomfret, fried spareribs, hairy gourd, joo seng teochew porridge, kailan, mien, Singapore 599740, upper bukit timah.